The Niall Toner Band has a completely new website, and it's a world-class beauty. For the first image the reader sees (with the caption 'Original bluegrass music from the foothills of the Blackstairs mountains'), 'spectacular' is not an excessive word; and the rest of the site doesn't let it down. There's some arresting news on the update page - the NTB have three new projects in hand, one of which will be a traditional Irish music album with the legendary harmonica player John Murphy of Colfer's, Carrig-on-Bannow, a good friend to bluegrass music in the south-east. But all of this site is well worth looking at - and listening to. The 'Press' pages include quotes from reviews of previous NTB albums, taken from many country and bluegrass periodicals, in several European languages. The NTB is also on MySpace. Italian guitar wizard Roberto Dalla Vecchia sends word to all his friends in Switzerland that he will be playing in Zurich on Sunday 9 May 2010, for the Mother's Day brunch at the Restaurant Lerchenberg, beginning at 10.30 a.m.
Roberto is also planning a two-and-a-half-hour workshop in the afternoon (14:00), covering such topics as playing up the neck; bending licks; improvising using the root, the third, and the fifth; and the tunes 'Jerusalem Ridge', 'Fiddler's dram', and 'Flop-eared Mule'. The price of the workshop is €45. If you would be interested in taking part, let Roberto know by e-mail. This blog is now located at http://blog.ebma.org/. 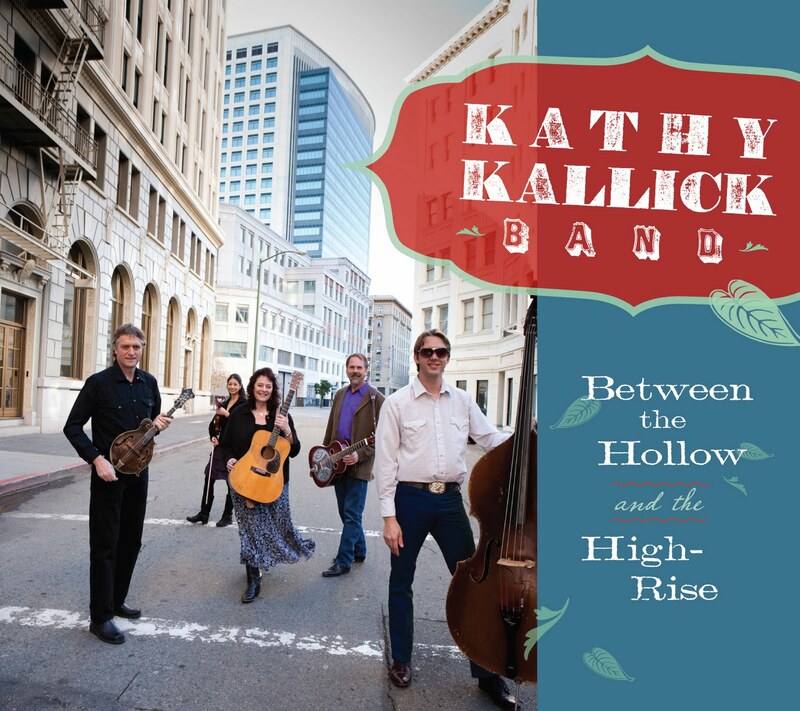 The Kathy Kallick Band is delighted to be returning to Europe very soon! 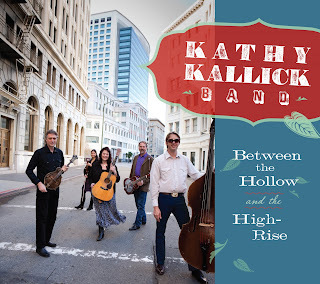 They've just released a new CD, titled Between the hollow & the high-rise, and will be playing songs and tunes from it - as well as from Kathy's earlier releases with her band and Good Ol' Persons, bluegrass and country classics, and a few surprises. They're looking forward to seeing and playing music for old friends and new ones from 6 May to 22 May 2010. NOTE: KKB members also playing with other bands during the weekend. British Bluegrass News #52 (spring 2010) has been posted out to members of the British Bluegrass Music Association (BBMA). At 48 pages, it is 9% larger than the 'bumper' winter issue and packed with solid content, including an overview of festivals in Britain in 2010, and an interview by Rick Townend with Lilly Drumeva (Bulgaria), who has recently joined the BBMA. The issue also includes features on bluegrass cruises, the late Jack Cooke, and 'The art of practising' by Steve Kaufman. Hannah Johnson of the Toy Hearts reveals her ‘Favourites’, and 'The story behind the song' looks at ‘No school bus in heaven’. All this plus the regular 'What’s on', tour details, CD and book reviews, 'Light in the window', 'SmallTalk', and nine area reports. This issue is the fourth to appear with Richard F. Thompson as editor-in-chief. British Bluegrass News is published by the BBMA, which was founded in 1990 and will be celebrating its twentieth birthday this year. To join the BBMA, contact the Membership Team, Clare and David Rozzell, by e-mail. You can also join online through the BBMA website. The Danilo Cartia Band (Danilo Cartia, vocals, 5-string banjo, guitar; Andrea Moneta vocals, Chapman stick; Michele Anselmi, vocals, dobro; Luca Dominici, vocals, guitar; special guest Max Giua, percussion) will be playing at 22:00 on Thursday 29 April 2010 at 'Fonclea', Via Crescenzio 82 Rome, Italy - one of the most famous venues for live music in the city. Admission is free. A date not to be missed! Band personnel data have been updated since the original post on the EBB on 20 April. 'Little whisky child', 14:30-16:00. More info here. 'Little whisky child' & CD launch; begins 20:00. More info TBA. 'Little whisky child'; begins 20:30; admission €12.50 advance booking, €15 at the door. More info here. 'Little whisky child'; begins 20:00; admission €10. More info here. 'Little whisky child'; begins 20:00. More info TBA. 'Little whisky child'; begins 20:00. More info here. 'Little whisky child'; begins 20:15. More info here. 'Tales for the ever-young'. More info here. There is still space in our schedule for appearances in Jan.-June 2011. A joy to see you again and may joy be with you all! In March, we reported the release of this very professionally produced board game. The first such trivia board game for bluegrass lovers, this game is also an educational adventure into the bluegrass world -- fun for beginner and expert bluegrass fans. To our current knowledge, it is exclusively available in Europe only from Strictly Country (Rienk Janssen) in Holland. You may see more details, photos and ordering information by clicking on the SC link. Bring your game to the European World of Bluegrass [EWOB] May 13-15 in Voorthuizen, The Netherlands and test your skills with other bluegrass music fans and artists! Thanks to Chris Keenan for news of the lineup for this year's Johnny Keenan Banjo Festival at Longford town, Ireland (23-26 September 2010). 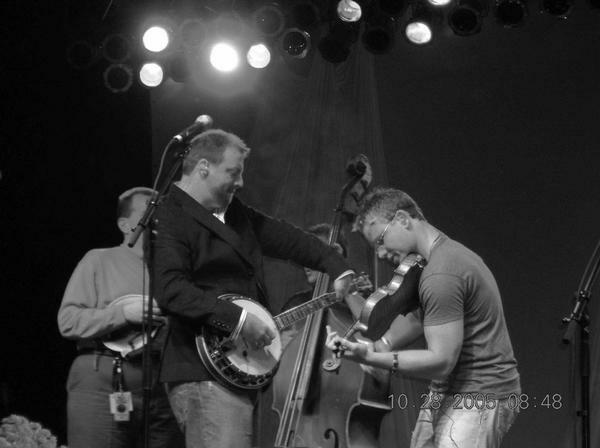 Mountain Heart are included, from the A list of modern US bluegrass bands. The schedule (blending Irish traditional, bluegrass, and folk music) includes Rodney Crowell, Iris Dement, Mountain Heart, Brian Kennedy, Gerry O'Connor, Chris Meehan & his Redneck Friends, the Niall Toner Band, We Banjo 3 (featuring Enda Scahill & Leon Hunt), Shaskeen, Rig the Jig, Tupelo, Bending the Strings, and the George Harper Band. Other acts are TBC. Tickets and weekend passes go on sale at Ticketmaster next week. Information on tickets and weekend passes is also available at the Festival website or by ringing 087-281-7825. Thanks to Thierry Lecoq of Blue Railroad Train (F) for this colour photo of the 'Keith Unit' (USA) in Montmartre, Paris, during a tour of France in the summer of 1984. From left to right: Tony Rice (guitar), Bill Amatneek (bass), Bill Keith (banjo), David Grisman (mandolin), Darol Anger (fiddle). A monochrome reproduction of this photo appeared in Bluegrass Unlimited magazine, xxxii, no. 6 (December 1997), illustrating 'Paris remembers', an article by Bill Amatneek about his memories of the trip. The 'Keith Unit' were in France while the fortieth anniversary of the 1944 liberation was being celebrated; and the article tells how the Americans, in search of tortoiseshell picks, were received by one Parisian music-shop owner. Look it up! The Ambassador Program for the International Bluegrass Music Museum (IBMM) in Owensboro, KY, was announced on the European Bluegrass Blog on 23 November 2009 - a welcome initiative by the Museum in reaching out to partner with bluegrass associations all over the world. Your association will appoint or elect a person who is willing and enthusiastic about being an Ambassador from your association to the International Bluegrass Music Museum. This Museum Ambassador will work with the Bluegrass Museum to trade news for our respective newsletters and work on special projects. We are also inviting the Ambassador to attend a yearly meeting of Ambassadors at ROMP in Owensboro each year. ROMP is our biggest fund-raising event and it takes place the fourth weekend of June. I would like to stress that attending ROMP is encouraged, but not required for participation in the program. Ambassadors will receive a complimentary IBMM membership, a VIP ROMP pass (which includes VIP access to all events, backstage privileges, meals with Artists/Pioneers), and an Ambassadors t-shirt. The museum will arrange low-cost lodging for your Ambassador's stay at ROMP, getting in on our artists’ rates (typically $54/night + tax). There is also free camping at ROMP for the adventurous types. We’re very excited to inform you about this year's ROMP (River of Music Party) held 23-26 June in Owensboro. We have a great lineup that includes Doc Watson, Pete Wernick, Mac Martin & the Dixie Travelers, Claire Lynch, Jack Hicks & Summertown Road, Michael Cleveland, Dailey & Vincent, G2, Valerie Smith & Liberty Pike, Acousticure, Roland White, Frank Solivan & Dirty Kitchen, Danny Paisley & Southern Grass, the Isaacs, John Cowan Band, Packway Handle Band and many more! Advance weekend passes are available for the low price of $75 for adults and $50 for IBMM members. Get a 4-day family pass for only $150. And there’s FREE camping! As well as two #1 European Bluegrass Bands, G2 (Sweden) and Acousticure (Hungary), the lineup includes the New Appleseed Band from Japan. Full details of ROMP 2010 are on the Museum's website and on the ROMP 2010 flyer, which can be seen here. If you’re a visual artist and want to submit a work of art to potentially be included in the upcoming Bill Monroe Centennial Art Exhibit here at the Bluegrass Museum in Owensboro, KY, please go to our website and read the short list of rules and download the application form. The deadline for submissions is 15 May. This is a juried exhibit and will be excellent. Everyone else, please come see this exhibit. It kicks off the first of the Centennial events by opening this year at ROMP on 23 June 2010. This Friday (23 April 2010) at 7.00 p.m. Central Standard Time, Valerie Smith & Liberty Pike, who have made several tours in Europe, will be giving a concert at the IBMM for its benefit. The band, who have been the force behind this series of concerts in support of the Museum, will also have a CD release party at this time, introducing the first-ever CD made at the Museum. Tickets ($10) include a wine and cheese reception. Thanks to Rüdiger Schmitt of Kleinkunst im Schütte-Keller in 'Bluegrass City Bühl', Germany, for the news that advance bookings of tickets for the 8th International Bühl Bluegrass Festival (14-15 May 2010) can be made online, by telephone (+49 07223/93-1616; weekdays 10:00-13:00 and 15:00-18:00; Saturday 10:00-12:00), or from Kleinkunst im Schütte-Keller. The full Festival programme can be seen here (outside and inside). Saturday, April 17 is Independent Record Store Day ...all over the world! The goal is to attract people to the "Indie" (independent) music retailers -- not the commercial chain stores. Since bluegrass music, and acoustic music in general, is primarily an indie genre you will be supporting the artists, labels and your local independent store. Click on the title of this article and it will take you to a map of countries. Click on your country and a list of indie store retailers will appear. There are free giveaways at participating stores, as well as exclusive giveaways (free downloads, etc) on the recordstoreday.com website. If your local independent store doesn't have bluegrass or your favorite acoustic music genre on their shelves, this is your chance to ask them "Why not?" Perhaps you can introduce the owners/managers to an artist that their customers might enjoy? As they wrote in their press release email, "No better time to get out to your local indie music store and show them some love!" Thanks to Serge Rieger for news of the bluegrass band which he leads in Alsace (Elsass). The personnel includes Joel Espesset (mandolin) from Kehl, Heiner Raulff (banjo, dobro), also from Kehl, Théo Sauer (dobro, banjo) from Lampersloch, Serge's son Virgil (bass, vocals), and Serge himself (guitar, vocals). Two tracks recorded by the band can be heard on their website. Contact Serge by e-mail. In 2010 we will organise for the second time a meeting in Kutzenhausen (Alsace). Last year there were about ten musicians and there was heavy jamming, for a very interested audience and an excellent Flammenkuchen [an Alsatian speciality]! Thanks to the UK organisation FOAOTMAD for the news that the 'urban old-time' band Pokey LaFarge & the South City Three (USA) will be playing thirty-one shows in six European countries from 7 August to 13 September 2010, including the Tønder Festival in Denmark, where the bill will also include Hot Rize and Red Knuckles & the Trail Blazers (USA). The April 2010 e-mail newsletter from Laurie Lewis gives much space to her tour with Tom Rozum in Germany, Switzerland, and Italy last month, with photos of snowy trees in Sachsenheim and sunlight in Portofino (left), and descriptions of seeing art and architecture in Rome and (under the guidance of Red Wine) buying chocolates in Genoa (Genova). The newsletter also includes a performance schedule for April and details of summer instruction camps in May, June, and July. Thanks to Michael Pugh (USA; resident in Munich) for news that the 4th Banjo Camp Munich will be held on 1-3 October 2010 at the Aktivhotel Aschau/Chiemgau. With the subtitle 'Pick-Your-Passion-Camp', it offers classes in banjo, guitar, dobro, mandolin, clawhammer banjo, and songwriting. Full details, including an impressive lineup of tutors, are on the Banjo Camp website, where an application form can be downloaded. The closing date for applications is 26 July 2010. Petr Kulik announces that the programme is now complete for this year's Jamboree (28-29 May 2010) at Strakonice in the Czech Republic - the biggest bluegrass festival in central Europe, presented by the town's cultural centre. Full details of the programme can be seen here. Goods now in stock include the new Kruger Brothers CD Forever and a day (right); the Carlos CP-1A SLY pickup (€299); the Schertler Dyn-B banjo pickup (€299); the Deering Woodsongs Campfire long-neck banjo (€1499 including case); the Deering Goodtime Classic banjo (€649); the Kentucky KM 1500 F-style mandolin (€2490); and Blueridge BR60 and BR40 12-string guitars. We are well prepared for the second GrevenGrass Festival. We engaged a bunch of brilliant musicians and advertised the event even beyond the borders of our region. Now we look forward to the reunion. We like to add some more useful things to the wonderful ambience you had in the camp and in the stage area, to give you some fine Pentecost days. * Following an advice which Jörg gave us, we will offer 'childcare' for some times, so parents will get some useful time to enjoy the festival. * We will offer a 'baker’s shop', starting on Friday, where you can order Brötchen, bread, and cake for the next morning. * Our Top-Service will be cooled bottled beer. You can even buy a complete box of beer at out Camp-Bar. Cheers! * In the morning (as well as in the later times) you can buy freshly brewed coffee in the special GrevenGrass-Mug. * Last year somebody asked for tables and benches to be borrowed. If anyone likes such a service, we could organise it - just give us your feedback. The camp will officially start on Friday; if someone likes to come the day before, please give an advise to Ulli. The sanitary facilities beyond the indoor swimming pool are open during daytime; however, electrical current and water in the camp will be available only as of Friday. In between the afternoon and evening stage program we will have the 'open stage' again. If you like to perform on the open stage, you are welcome. The open stage is sponsored by the Warstein Brewery; each musician will get a Warstein Pils sixpack. Please inform us in time! I plan to drive from Frankfurt to the Netherlands and Belgium (19-21 Aug.), then continue south and east across France to Switzerland (22-25 Aug.), and then up to Strasbourg for a visit with my in-laws. From 28 to 31 Aug. I'm hoping to jam with friends around Milan, Italy, before heading to Didmarton Festival in England (the first weekend in September). I will also be at Cornwall Bluegrass Fest, 16-18 September. Although my plans haven't been finalised yet, I may be exploring a bit of Scotland or Scandinavia between these two UK festivals. Let me know if you have any ideas for banjo workshops, demonstrations, jams, store visits, wine tastings, or whatever you might suggest. Let's stay in touch so we can hopefully connect with each other this summer! Tom's website also includes details of armrests, bridges, and other goodies including the Turbo Module Electric Banjo insert. Thanks to Richard F Thompson, editor of British Bluegrass News, the magazine of the British Bluegrass Music Association, for the news that BBN has issued the ninth (April 2010) in its series of e-newsletters to BBMA members, carrying news that breaks between issues of the quarterly magazine. The 13-page newsletter, which can be read here, has a further improved format and includes many items of bluegrass news outside Britain, leading with a feature on the 13th EWOB Festival (13-15 May 2010). The lineup for the Willisau festival in Switzerland and the new Lilly Drumeva CD are reported, and a new one-day bluegrass event in England, the Appleby Bluegrass Day, is announced for 30 August 2010. Roberto Ruiz Cubero from Spain reports that he and his brother, as the mandolin-and-guitar duo of Spanish music Los Hermanos Cubero (The Cubero Brothers), have won the Premio Europeo Nueva Creación de Folklore Agapito Marazuela award, which recognises innovation in the field of traditional music. The tunes with which they won the award were two covers from Spanish music legend Agapito Marazuela and their own original tune 'Jota para Bill Monroe' ('Jota for Bill Monroe'), a 50/50 mix between bluegrass and Spanish folk. A Jota is a Spanish rhythm dance in 6/8. You can hear the tunes on MySpace; for more information about the award, a Spanish newspaper report can be read here. The tunes are also available from the Cubero Brothers in mp3 format. Update 12 April: See also today's Bluegrass Blog, where a one-minute clip of the 'Jota para Bill Monroe' can be heard. Sally Govers Gray passed away on 5 April 2010. It was an unexpected loss. It is always sad to report the loss of a friend... especially someone so humble, funny, friendly and gracious as bass player Tom Gray's wife, Sally. If you knew Tom, you also knew his wife, Sally. You rarely saw one without the other. If ever there was a couple who truly enjoyed being together, it was Tom and Sally Gray. Sally was not just a musicians's wife. She was very active behind the scenes for many years. Among Sally's many contributions to bluegrass music she was the editor of Bluegrass Unlimited Magazine in the early 1960s. Sally, along with Nancy Duffey (wife of mandolin player John Duffey), was part of the 'glue' that held the Seldom Scene band together for decades. Sally & Nancy were the dedicated merchandise saleswomen and road managers for The Scene. It was not unusual to see Sally hastily selling Seldom Scene T-shirts out of the back of the car at the end of a show, as the boys changed their shirts and prepared to drive off to the next festival as quickly as they could. Sally made literally hundreds of friends on the European continent as she toured with Tom through the years. She especially loved spending time with the music fans here. Her last trip to Europe was in May/June 2009 as Tom toured with JB's Band. Sally told me that particular trip was "so precious" to her. She was so grateful to be able to make the trip, meeting old and new friends. Please excuse me for using this mass-communication media of email to tell my sad news. Yesterday [Monday, 5 April 2010] I lost my wife Sally, my dear partner in life. She passed away in the operating room while they were trying to correct her heart problems. I won't go into the bloody details of how it happened. As you probably know, she has suffered for years with a heart that sometimes would beat in strange rhythms. She has been hospitalized four times this year with congestive heart failure. We had a very happy life together for 47 years. Sally is the inspiration for the wonderful sense of humor that our three children carry on today. On Saturday, April 10 from 2:00 - 4:00pm EST, there will be a visitation at Collins Funeral Home, 500 University Blvd. West, Silver Spring, Maryland 20901. On Sunday, April 11 at 3:00pm EST, there will be a funeral service at Palisades Community Church, 5200 Cathedral Ave. NW, Washington, DC 20016. A social gathering follows immediately in the hall downstairs from the sanctuary. Interment will be at a private ceremony the next day at Columbia Gardens Cemetery in Arlington, Virginia. Ernie Evans (guitar player in Valerie Smith & Liberty Pike) along with his wife Debi have started a new radio show on WorldWideBluegrass.com called "The Evans' Midnight Round-up/Good Morning, Europe!" They want to focus on European bluegrass and are trying to get more pickers to stop by the chat room. The show airs from midnight to 2 am on Wednesday morning United States Eastern Standard Time. Most in Europe will be getting ready for work at that time, won't we? If there's any way you could stop by the chatroom to talk to folks during their show, it would be great publicity for us and their show! Just let Ernie know ahead of time when you'll be able to log on and he'll get the word out all over the internet so people know to watch for you. Ernie & Debi's e-mail address for more information. Facebook: Ernie & Debi's radio page. We'll play at the EWOB Festival in the Netherlands and at La Roche Bluegrass Festival in France... we hope to meet you. Thanks to Wolfgang Mark of the press office of the city of Bühl, in Baden, south-west Germany, for the news that a press conference on the 8th International Bühl Bluegrass Festival (14-15 May 2010) will be held at 11.00 a.m. on Wednesday 21 April 2010 in the Rathaus I, Alter Trausaal, Hauptstraße 47, 77815 Bühl. Hans Striebel, mayor of the city, Wolfgang Jokerst of the Bühl culture department, Walter Fuchs, festival director, and Rüdiger Schmitt of Kleinkunst im Schüttekeller will be present to give all information on the Festival. If you will be attending as a media representative, or wish to receive the press package, contact Wolfgang Mark at the above address; tel. +49 (0) 72 23) 9 35-2 82, fax -2 89; e-mail. A press release (in German) and copies of the Festival programme (outside and inside) are available. Bands taking part this year include Uncle Earl (USA), the Midnight Ramblers (USA), G2 Bluegrass Band (S), the Sons of Navarone (BE), and 4 Wheel Drive (BE/D/NL), who will perform both with James Talley (USA) and with Jolanda Peters (NL). The lineup for this year's Coastline Bluegrass Music Event in north Wales is headed by two leading bands from continental Europe - Bluegrass Stuff (I) (shown above) and Rawhide (BE). Also on the schedule are Baker's Fabulous Boys, one of the UK's most entertaining bands, together with the Feet First and Wicked Soles troupes of Appalachian cloggers. The Event also includes extended workshops, an Open Mic, picking sessions (of course), and camping. A full weekend ticket is £38 (camping; £34 without camping); for children under 16 accompanied by a fee-paying adult, admission is free. This year's Event will be held from Friday 4 June to Sunday 6 June 2010 at Plas Uchaf Farm, near Llandudno Junction, Conwy, north Wales. Full details are on the Coastline Bluegrass Music Event website. A tour in Germany by Andy Glandt (D) and Stefano Santangelo (I) will begin a week from now. They have a lot in common: both have been making music since the '70s. Both perform solo or with bands. Both have experiences with organising festivals; both of them have been touring Europe and the US. Both like to entertain the audience with their music and routines, and both have been talking again and again about doing a tour together. Don't miss! Full details of the tour schedule are here.